Day 1: The “Warm Up” – A Short Trip from Present to Past – The San Francisco Bay Trail: It's Closer Than You Think! The media event went off without a hitch this morning, much to the great efforts of Laura Thompson and Brenda Kahn. “Good enough for government work” has taken on a whole new meaning to me. These folks are rock solid. I also had the honor of meeting Julie Pierce, mayor of Clayton and vice president of the Association of Bay Area Governments, which manages the Bay Trail Project, and Anne Halsted, vice chair of the Bay Conservation and Development Commission (BCDC) board and a commissioner on the Metropolitan Transportation Commission (MTC). Anne was kind enough to present me with a couple of fully loaded Clipper Cards to make sure I get to and from each section in one piece – I’ll be breaking them in tomorrow when I finish my first hike in Sausalito! Today’s walk was really meant to be a very simple warm-up for what is to come. What I found was a waterfront that is growing up and making a statement in the 21st century. 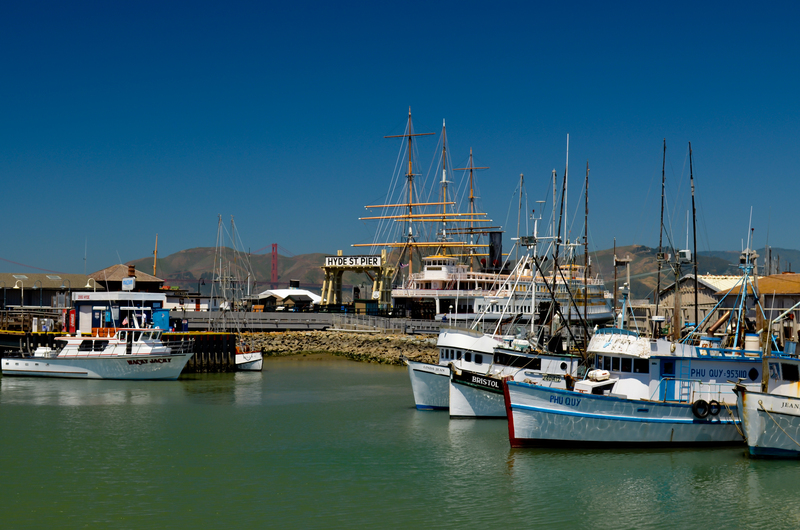 Attractions like the new Exploratorium, the Americas Cup headquarters and the new Alcatraz landing were fresh and inviting. There was also a new section of the Bay Trail by Pier 39 that Laura Thompson pointed out to me. With its shiny new benches and stunning vista of Alcatraz it was an inviting oasis to rest at between the new and the old as I prepared to enter Fisherman’s Wharf. What was once crumbling wooden piers is now a place to enjoy a picnic or post a picture of Alcatraz to your Facebook album. I was both tourist as well as tour guide today as I not only took in the sites but also took a little time chatting up some actual tourists, explaining the rigors of bay swimming as we overlooked Aquatic Park from the Hyde Street Pier. While there were a few wetsuits in the water, a vast majority of the swimmers were sans wetsuit – a noble feat for anyone with less than 2 inches of body fat covering their body! I attempted that once – sans wetsuit that is – and after an hour recovering in the sauna I was still mildly hypothermic and couldn’t feel my jaw so I put my ego aside and became a proud member of the wetsuit club. Life’s too short. I headed west toward Fort Mason gingerly massaging my jaw as I relived the painfully numbing experience of my first swim in the Bay over again in my head. In conclusion, I found it fitting how the new and the old offset my walk today – a somewhat nostalgic Exploratorium relic from 1986 on one end and the 21st Century state of the art new Exploratorium at the other. As I hopped on the 22 Fillmore Muni line just off the Marina Green to carry me up the hill, I could only wonder what surprises lay ahead for me tomorrow as I set out on another path that I am certain I know all too well – but probably don’t.